1 – Our brand new winemaker index where you’ll find pictures (when available) + location information for all winemakers. 2 – Keep track of the all wines you drank and the winemakers (« I drank it too » icon on winemaker) on all sections of the app. 3 – Identify other users in your comments using @ + username (e.g:@kevinmaas). This automatically creates a notification. – Many minor fixes you won’t notice immediately but you will definitely enjoy. 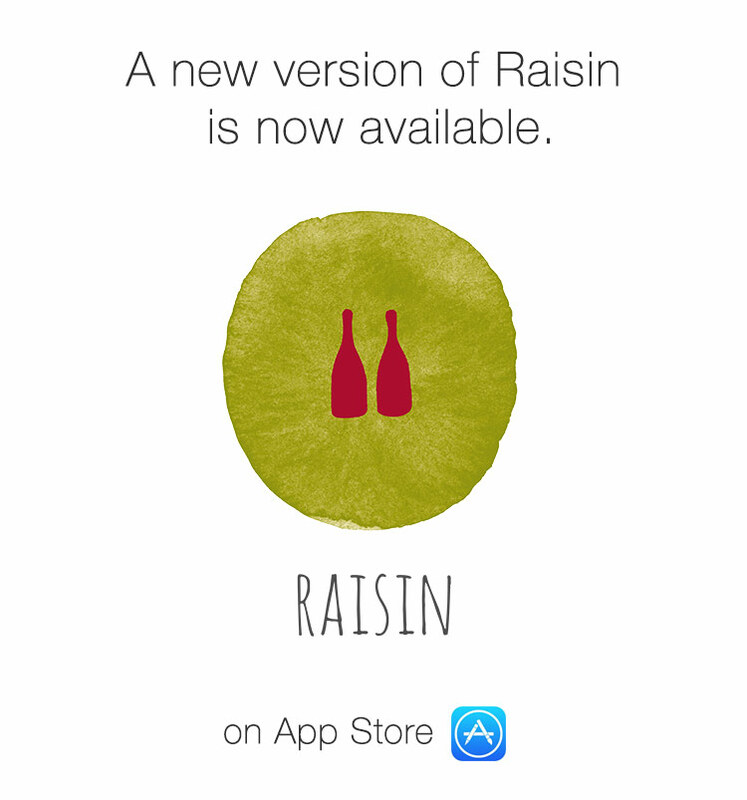 Let us know what you think about it by writing to: mailto:contact@raisin.digital.